Choosing a camera that marks each and every feature in it can be a daunting task. $1000 cameras often tend to lie between the ranges of medium to high-level photography units. Cameras under this budget tend to have extraordinary photography and videography capabilities. They contain unique sensors and processors which produce some extreme quality high-resolution images and many supreme quality videos at much higher frame rates than others. For a thousand dollars camera, you would be able to find a camera that captures 4K videos at 30 frames per second and Full HD videos at 60 frames per second. The upper limit of the ISO range would start from 12,800 at least, and when looking at the price point and all other features, it really backs up the idea of purchasing one. Here is a list of cameras that are under $1000, but pack some of the most required features in the market, with some extra ones such as slow-motion shooting and wireless connectivity. 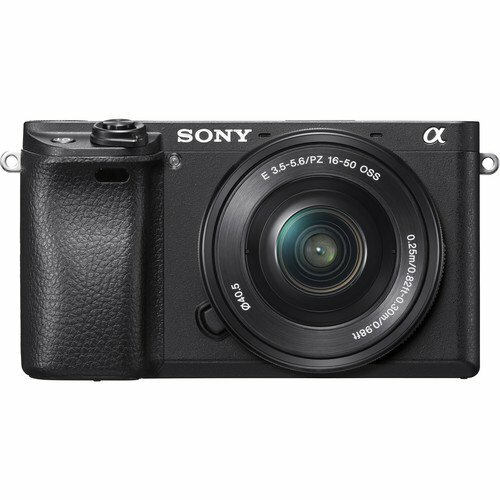 Sony Cyber-shot’s past reputation in a digital camera is quite unique and in demand. The advanced features of the upcoming cameras meet the user’s demand in every aspect of the photography. 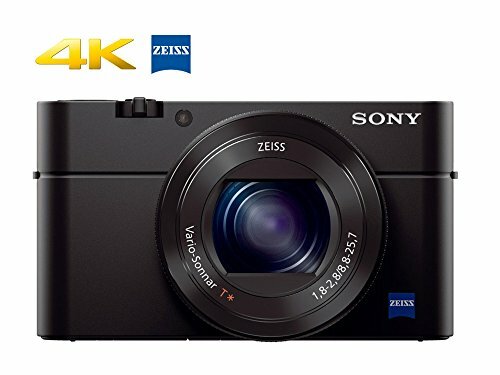 The Sony Cyber-shot DSC-RX100 IV is equipped with a 20.1 Megapixels CMOS sensor that produces high-resolution images. The camera is also no less in videography. For the videographer, there is a wide variety available. The camera can capture videos up to the resolution of 4K. The ISO sensitivity can be boosted up to 12,800 depending upon the situations. The super slow motion frames rates can go as large as 960 frames per second. The camera can hit 1080p videos at 60 frames per second as well as some low frame rate such as 30 and 24 frames per second. The camera is advanced to capture videos only up to 29 minutes. The viewfinder and the LCD screen, both serve their purpose in capturing the highest details possible. Nikon’s camera has always seen to be the last one standing in some of the most challenging situations because of their durability. The D7200 is no exception as it is a versatile camera, suitable for both videography and photography. The camera is equipped with a 24.2 Megapixels CMOS sensor which captures some of the highest resolution photographs. The camera can also record videos at 6 frames per second. The Full HD videos could be captured at about 60 frames per second. The LCD monitor lengths to about 3.2 inches. For high and low light situations, the camera is fully advanced to match the ISO from 80 to all the way up to 102400. Nikon doesn’t match the stability to Sony when it comes to videography, but the D7200 could be paired easily with the NIKKOR 18-140mm lens to provide the VR image stabilization that could really diminish the remaining stability issues for the users. 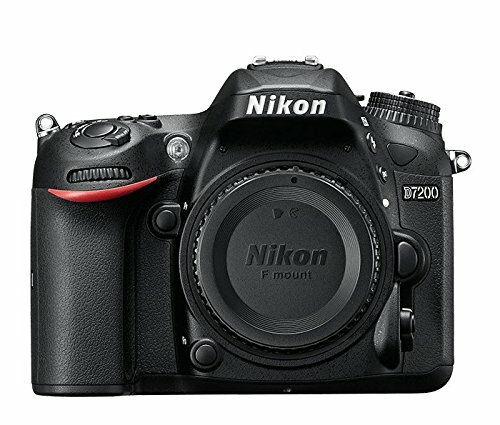 For a 1000 dollars camera, Nikon D7200 would a good choice as it performs really well in almost every situation and can capture high-quality videos as well. Lumix series by Panasonic is making quite extraordinary cameras for a past couple of years with recent developments being the improvements in the videography sections like the 4K advanced video capturing at 60 frames per second. The camera includes a 16 Megapixels CMOS sensor that is able to capture some clear high-resolution stills. The optical low pass filter allows the high degree capturing of resolution. The Ultra HD video of 4K is recorded in 30 frames per second with this camera. The video capturing tools could also be used to capture the same 8 megapixels stills while shooting at a lower frame rate. The Full HD recording can go up to 60 frames per second while the frames could be lowered down to 30 and 24 depending upon the size of the video that the user wants in the output. The dual image stabilization helps in achieving the utmost sharpness during handheld photography. 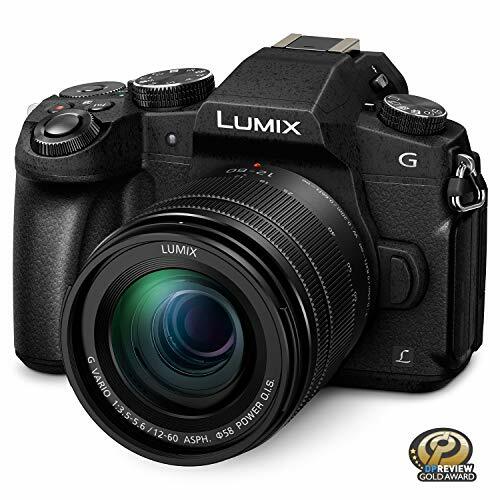 The dual Image stabilization requires the Lumix lenses that form the stabilization compatibility. 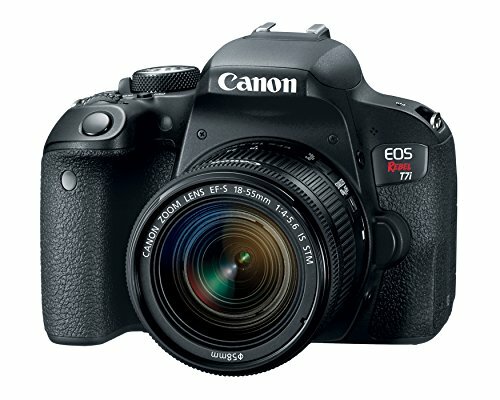 In the Canon EOS 70D, both the sensor and the processor work in par with each other to put forward handsome quality photography. The clear imagery and natural tonality make this camera a good choice in the hands of the consumer who wishes to acquire a camera that is under the 1000 dollar price point. 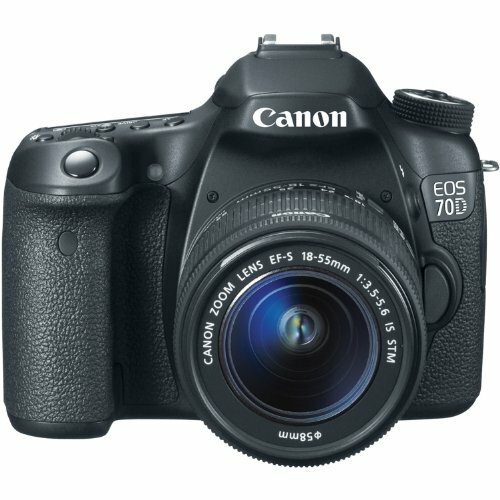 The Canon EOS 70D DSLR Camera features a 20.2 megapixel APS-C CMOS sensor and DIGIC 5+ image processor to ensure high-resolution images and excellent low-light sensitivity. The camera is not capable of recording a 4K video but can record 1080p Full HD video at multiple frame rates with parameters set such as audio level control. The autofocus system in this camera is quite extraordinary and works great in a majority of changing light situations. Moving subjects and near-silent objects come into exposure more often with this camera than other cameras. With a wide range of lenses available to cover and enhanced this camera, the EOS 70D can be put to great photography and videography use, if skilled properly. 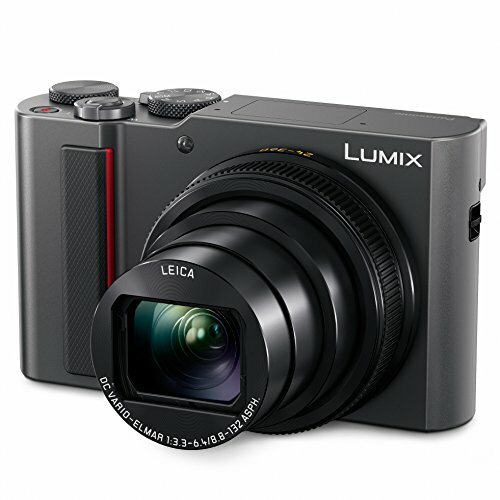 Built with portability in mind, the black Lumix DC-ZS200 Digital Camera from Panasonic is a sleek point-and-shoot camera with notable photo and video capabilities. Despite the compact size of the camera, the camera manages to incorporate a large High-Sensitivity MOS sensor. Along with this sensor, there is a 15x optical zoom lens for shooting high-quality 20.1MP photos. The camera incorporates the video recording of UHD 4K at about 30 frames per second. The ISO sensitivity can be enhanced to 25600 for use in some of the lowest light situations. The camera is also capable of recording burst shooting at some high resolutions with about 10 frames per second. The stills from the 4K videos could be captured with the resolutions of that of the 8 megapixels. The 5-axis hybrid stabilization is a little must for each and every camera out there. This camera incorporates this well. With this stabilization system, the user now has to worry less about the appearance of the camera shake during high zoomed video recording and still photography. Are you looking for a camera that is capable of fast focusing and 4K shooting along with observing some versatility in photography? This Sony’s camera is designed for the image makers who very often utilize the video making side of the camera. The camera is equipped with some of the most modern camera capabilities. There is a 24.2 Megapixels CMOS sensor and a BIONZ X image processor which provides image quality and increased sensitivity that goes up to 51200. Talking about the video capturing capabilities, the camera is able to record 4K video at 30 frames per second and Full HD video at about 120 frames per second. So it guarantees that the users can benefit themselves from high processing speeds that lead up to 11 frames per second. The camera is also fast and takes 21 RAW frames in a single burst. The 425 detection point system results in some quick and precise focus results. For a more versatile and future camera, this Canon masterpiece is a combination of portability and a sleek design which produces some of the most advanced imaging and multiple control and connection capabilities. The camera comes with a 24.2 Megapixels CMOS sensor and a wide range of controls and a high-tech image processor, due to which the Rebel is able to capture high-resolution stills. For a 1000 dollars camera, the Rebel is able to perform in a majority of low and high light situations. The sensor and processor combinations provide a unique and high-quality design of photos. For continuous shooting, this camera is a beast as well as it can capture 7 fps in continuous shooting. The touchscreen LCD is a new design in the camera market and it should be appreciated. New camera features are often ignored by the buyers. But do remember that Wi-Fi and Bluetooth are the need of each and every camera and they need to be present in a camera that goes up to a budget of $1000. The X-T10 is a mirrorless camera that comes under the range of $1000. It is often characterized by retro styling and a sleek design. The camera is equipped with many new technologies like e-viewfinder, multi-focusing modes, and unique sensor designs. This camera features a 16.3 megapixels camera that captures some of the most extraordinary photographs. The processor and the sensor work together to provide some extended and advanced image taking capabilities. The video recording of the camera is relatively limited to Full HD 1080p videos at about 60 frames per second but the ISO range goes up to 51200. This extended range makes it easier for the user to capture in high and low light situations. A variety of shooting modes are available and the LCD monitor also marks the reviews for the images taken. The Built-In Wi-Fi and Bluetooth are also complementary in every $1000 dollar and this camera features both. So wireless sharing to other phones and tablets is now easy which makes this camera a good choice in the hands of a mid to high budgeted customer. 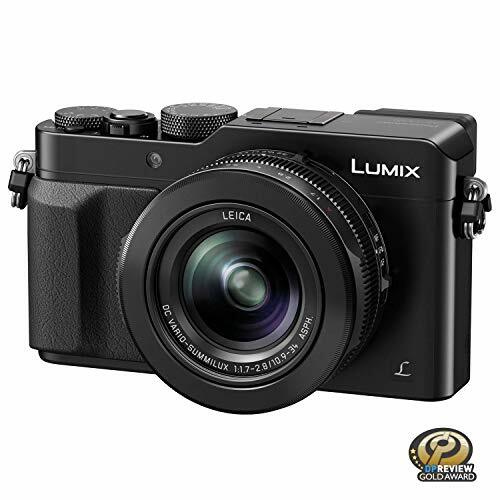 The Panasonic Lumix is renowned for their good camera quality and extreme features at a low price point. 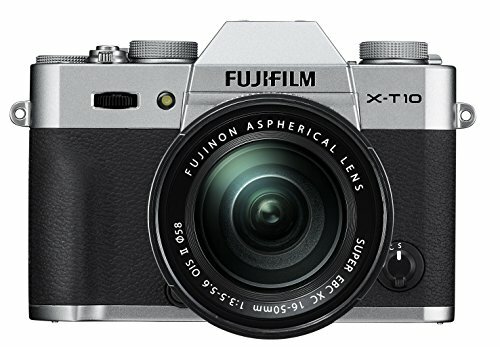 Taking this into account, for a $1000 dollar, you would be able to acquire a good quality camera and LX100 is one of them. The LX100 is Panasonic’s digital camera that has about every other camera feature that needs to fulfill a medium to high-end photography demand. It is capable to record 4K video at about 30 frames per second, the upper limit of the processor and the lens. The camera can also record the same resolution video in about 24 frames per second too. Talking about images, the camera is equipped with a 12.8 megapixels MOS sensor that can capture high-resolution images. The camera works quite extraordinary when it comes to extremely low and extreme highlight situations as the ISO sensitivity has a good variable range. It can go up to as low as 100 and as high as 25600. The camera can also record videos and capture stills at a number of aspect ratios like 4:3, 3:2 and 16:9. The D7100 DSLR Camera from Nikon is a high performance, compact DSLR camera with high-resolution photo and Full HD video capability. The camera is very comparable to D7200 in terms of its features and performance as both are equipped with almost the same features but outperform each other in some aspects. A little variation in price is observed too. Featuring a 24 megapixels CMOS that provides 100 percent accurate colors and some good resolutions, the sensor combined with the EXPEED 3 image processor brings some stable high-speed results. The continuous shooting speed of 6 frames per second makes it one extraordinary performing camera. With ISO sensitivity as low as 100, the camera works very well in high light situations and the ISO of 25600 goes along just fine in low light situations. Featuring a 1.3x crop feature that allows the user to get closer to the subject, and in fact, provides more options while capturing the image. 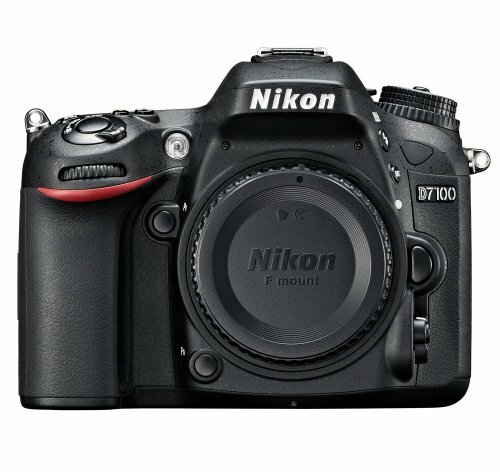 With all this being said, D7100 is one of the ideal choices to make in the market. 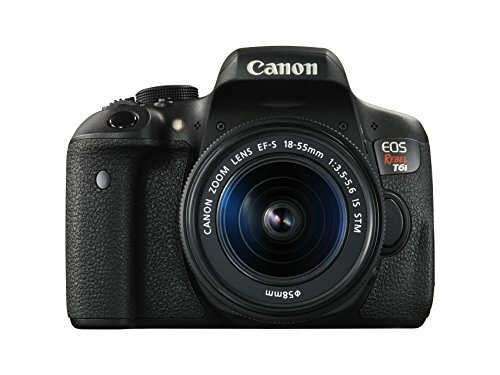 Packing a high-resolution 24.2-megapixel CMOS sensor and the DIGIC 6 Image Processor into a compact body is the EOS Rebel T6i DSLR Camera with 18-55mm Lens from Canon, which includes a versatile standard zoom lens useful for stills and video. A first for Nikon DSLR cameras, the D5500 incorporates a touchscreen LCD monitor, giving you greater camera control. The redesigned camera body is slightly smaller and lighter than its predecessor and incorporates both an optical pent mirror optical viewfinder, that it makes a great package while looking at a price point of $1000. The CMOS sensor of 24 megapixels and the EXPEED 4 image processor make good quality images. The Auto-focus system in this camera is quite extraordinary and works great even in low light situations, thanks to its ISO sensitivity that goes up to 25600. The autofocus is enhanced by the 39-point AF which works with nine cross-type sensors. With a variety of lighting conditions, Full HD videos can be shot at multiple rates that can go up to 60 frames per second. The selectable audio frequency range makes the work easier. 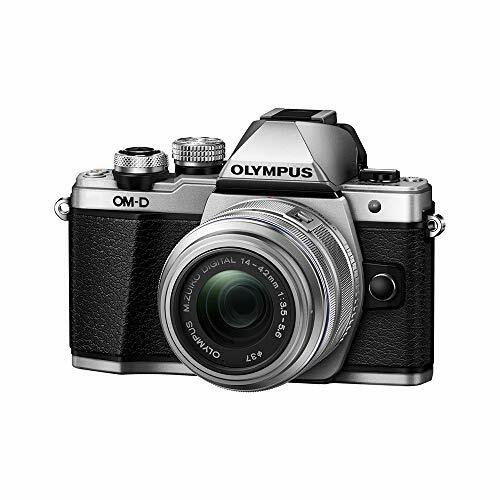 Sporting a classic design and sleek form factor, the black OM-D E-M10 Mark II from Olympus is a mirrorless Micro Four Thirds digital camera featuring refined stills and movie recording capabilities to suit working in a variety of day-to-day environments. The high resolution 16.1 megapixels MOS sensor when paired with the image processor facilitates some of the most extraordinary pictures. The live shooting can go up to 8.5 frames per second. This Olympus’s camera is capable of recording 1080p video at 60 frames per second, which is quite normal for a camera that comes with this price tag. 4K video recording is absent. The top sensitivity of 25600 helps the camera and the sensor to perform in some low light situations. Besides the handsome appeal of the E-M10 Mark II’s design, its main assets lie in its versatility of shooting functions and performance to benefit photographers and videographers alike. 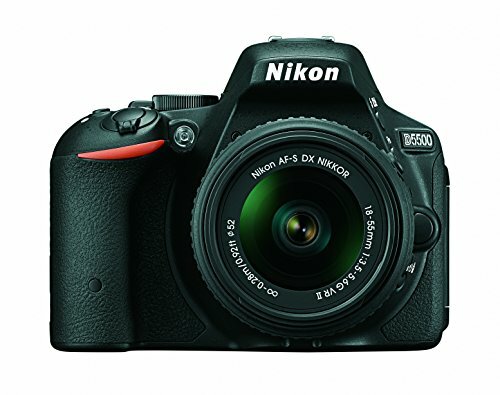 A little old but still out functioning a majority of the camera market, the D5300 is a bulky yet good performing camera that completes almost each and every desire of the customer with its extraordinary features. 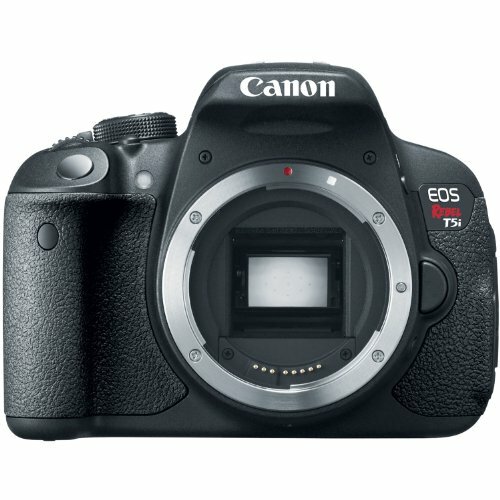 Canon’s another big canon towards photography and videography was launched when this Rebel T5i came into play. The camera offers sharp details that could be incorporated into a bunch of scenarios. With 14-bit Analog/Digital conversion, an ISO range from 100-12800 (expandable to 25600) and Multi-Shot Noise Reduction, the Rebel T5i offers sharp details, accurate colors and low-noise imaging in both bright and low-light shooting situations. Its 9-point all cross-type autofocus system provides fast focusing when shooting with the viewfinder, and Hybrid CMOS AF increases autofocus speeds when shooting in Live View. The Rebel T5i can continuously shoot up to 5 fps. Talking about its video capturing capabilities, the camera goes up to 30 frames per second while recording Full HD videos. 60 frames per second are only possible when shooting 720p videos which is too low when selecting a camera under a thousand dollar price mark. Otherwise, the camera outperforms many cameras in terms of photography.